Michael Bloomberg, media mogul -- again? He is one of the richest men in the world. And now, after 12 years as the mayor of New York City, Bloomberg is once again taking over Bloomberg LP, the financial media company that he founded 30 years ago. His return immediately stirred speculation about how the company -- best known for its data terminals, but determined to be a household name for news, as well -- might evolve in the years ahead. Bloomberg, the company, announced the leadership change on Wednesday evening. It came about nine months after Bloomberg, the man, left office and began to spend time in his company's newsrooms. "I never intended to come back to Bloomberg LP after 12 years as mayor," he said in a statement. Indeed, he said in an interview last fall that "I'm not going back to Bloomberg LP" and that "I want to do a number of different things." 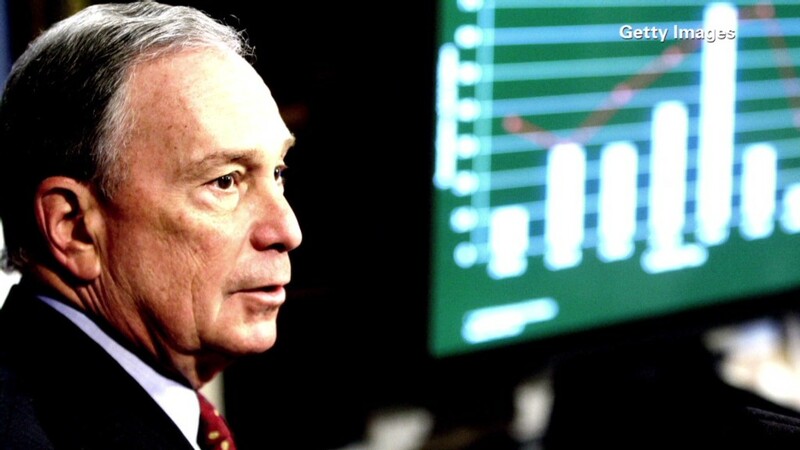 While serving as mayor, Bloomberg retained his ownership of the media company, but was not involved in its daily operations. One of his former deputy mayors, Daniel Doctoroff, has been the president of Bloomberg LP since 2008 and the CEO since 2011. So what happened? The more Bloomberg reacquainted himself with his old company, "the more exciting and interesting I found it -- in large part, due to Dan's efforts," he said in a statement on Wednesday. "I have gotten very involved in the company again and that led to Dan coming to me recently to say he thought it would be best for him to turn the leadership of the company back to me," he added. "It was a gracious and thoughtful offer and one that I finally accepted after significant pushback and great reluctance." Bloomberg and Doctoroff acknowledged in a joint interview with The New York Times that the founder's return had made Doctoroff's job more difficult. Doctoroff told The Times that Bloomberg "is kind of like God at the company." "You have to understand that when God comes back, things are going to be different. When God reappeared, people defer," he said. Doctoroff indicated in a press release that he did not have another job lined up. "I welcome the opportunity to embark on a new chapter and, in time, will decide what's next," he said. What's next for Bloomberg is up to ... Bloomberg. Most of the company's revenues -- which are expected to total $9 billion this year -- come from expensive subscriptions to terminals. Many financial professionals are dependent on the terminals, but Bloomberg is facing competition on a number of fronts, including from some of the big banks that pay big money for subscriptions. In a bid to diversify, the company has expanded into markets like law and alternative energy and has made a number of impressive hires at Bloomberg News and the opinion section Bloomberg View. But there are persistent doubts about the company's commitments to revenue sources that don't involve the terminals. Toward the end of Bloomberg's time in office, there were waves of speculation about his interest in buying The New York Times or the Financial Times. He has generally demurred, but never ruled out a newspaper purchase altogether. More recently, Bloomberg was asked in a Fox News interview if he'd consider buying CNN, if Time Warner (TWC) were to put the network up for sale. "You never say never, but in this case I can say, probably never," Bloomberg said.